There is significant discourse about the state of associations and the relative strength of the model. Increased competition, shifting business models, the challenges associated with declining or aging memberships and more represent an existential threat to the traditional association model. Organizations that are successfully navigating the new reality share several common characteristics including a strategic commitment to all things digital, a customer first approach and agility. A companion capability emerging alongside and within digital transformation can be tapped to jumpstart your organization’s transformation. The capability plays off unique and powerful characteristics of associations, leveraged in different ways. Best of all, it may be deployed without a full-blown digital strategy. It gives your organization the ability to jumpstart your digital journey while building muscle and understanding of the digital environment and will lay the groundwork for more substantive transformation. Do you know your targeted customer segments? Have you uncovered and studied their needs and behaviors? Have you explored how to best solve their relevant problems and challenges? Have you determined what kind of value you provide them? Is there a strong fit between your target segments’ needs, your value proposition, your overall business model, internal processes and a customer-oriented organizational culture, with continued emphasis on creating value for your customers? Do you feel that customer-obsessed value-oriented mindset is a fundamental necessity of running a successful business? As applied to society websites, generally associations see a relatively high volume of inbound web-traffic from search. In this day-and-age of information overload, associations are a trusted source for information on the field of their domain. Association content may likely show up in searches around their domain even if the association was not the prime object of the search. This is backed up with data. A cursory analysis of relatively large yet typical associations shows that greater than 60% of most search comes through common organic searches with users generating monthly traffic well over 100 thousand, even getting into the millions. The analysis also shows that most search is coming through mobile devices. 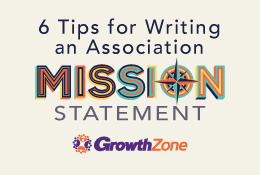 This is good news for associations because it underscores the value and relevancy of associations as content providers. A secondary, and perhaps more potent benefit, is that the individual conducting the search is probably not a member, which is implied by the sheer number of searches per month. This large stream of user inquiry into the organization is of high value. It represents potential consumers of your association’s goods and services from membership to education, AND they are coming to you as prequalified since they have found you through their action. The challenge, however, is that once the individual finds their way into your organization’s website through search, they are all too often put off because it’s not designed to respond to their needs. Think about it. Your website (like your organization itself) is probably conceived and designed around the individual member and/or personas that you serve. This makes sense as the approach reflects the very definition of a society. By conceiving, designing, building and maintaining a website oriented around the organization, member, and personas (in other words from the inside-out), you are inadvertently putting obstructions in the path of the myriad users described earlier. The obstructions take on many forms ranging from dead links to old content to the wrong content to no content at all… not to mention inadequate taxonomy. And while there are techniques to improve search results (paid search, SEO, etc. ), they are limited in their effectiveness as they are designed to capture the conceived user as represented by the members/personas. We all know from our own experience that any and all obstruction means loss of opportunity characterized on your website through pogo-sticking, high bounce rate, and overall low stickiness. The solution lies in adopting a new perspective. Switch your outlook from inside-out to the Outside-In Approach. 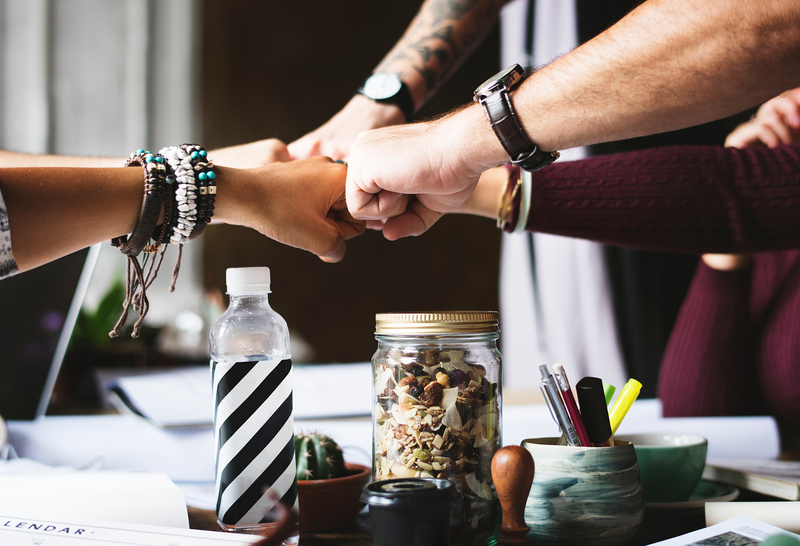 We have already seen how some associations have adopted a culture of customer first mindset as seen in our Digital Transformation Assessment™ (DTA) report and are thriving as a result. Extending this approach to your website can yield dramatic results. To support the shift in management perspective, there are also new tools and techniques to apply to your Outside-In Approach. Machine learning and artificial intelligence may be incorporated as a part of the solution. With enough user traffic, machine learning can be applied to analyze and ultimately improve the journey into your organizations’ website. It is now possible to identify and correct various obstructions that were previously unknown, and it is even possible to auto-correct problems with minimal intervention. We project that the impact of the shift in Outside-In perspective will yield favorable results, including the change to the customer-first perspective. Associations can and will thrive in the digital age, and it will be the customer that leads the way. Tom Loughlin and Ellen Moore are co-Authors with Don Dea of the Digital Transformation Assessment™ (DTA) report introduced at digitalNow and published by Fusion Productions in collaboration with Association Trends in August 2018. The DTA report is designed to help association leadership and their Boards turn the tools of the digital economy to their advantage. The report includes an assessment tool along with case studies and a continuously updated resource page all designed to help your association thrive in the digital economy. 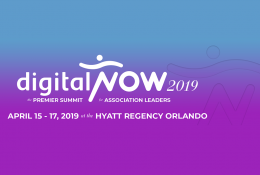 The 2019 digitalNow conference will highlight how organizations are moving toward effective implementation of strategies to support growth and transformation. You can examine the case studies and read the Digital Transformation Assessment™ (DTA Report) for further detail about how some organizations are putting the fundamentals of Digital Transformation to work and thriving. Have you registered for DigitalNow? Use code TRENDS19 to secure your Association Trends discount of $100! Don’t wait- this discount expires January 31st! 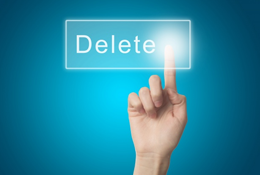 What is the “Right to be Forgotten”?